The Fayetteville office of financial services firm Raymond James & Associates Inc. has relocated a few miles south to a downtown address. Coleman Ward, who oversees Raymond James offices in Fayetteville, Fort Smith and Rogers, says the office has moved from leased space inside the One Steele Plaza office building (3739 N. Steele Blvd.) to its own building at 5 N. West Ave. A limited liability company led by Ward and Raymond James colleagues Matthew Weber, Mark Morris and Suze Anna Myers bought the building for $750,000. Richard and Jenny Alexander and Rob and Kathy Merry-Shipp were the previous owners. The West Street property, three blocks south of the Dickson Street entertainment district, was built around the 1890s, Ward said. It has been a family residence, a boarding house, an apartment, a law office and many other things over the years. Downtown Properties Real Estate Group Inc. was the most recent tenant. Company owner Mitch Weigel, who brokered the sale of the property, said the real estate agency has relocated to leased space at the Pryor Center on the Fayetteville square. Ward said the new owners will make a “significant investment” to make the two-story building a state-of-the-art financial center. 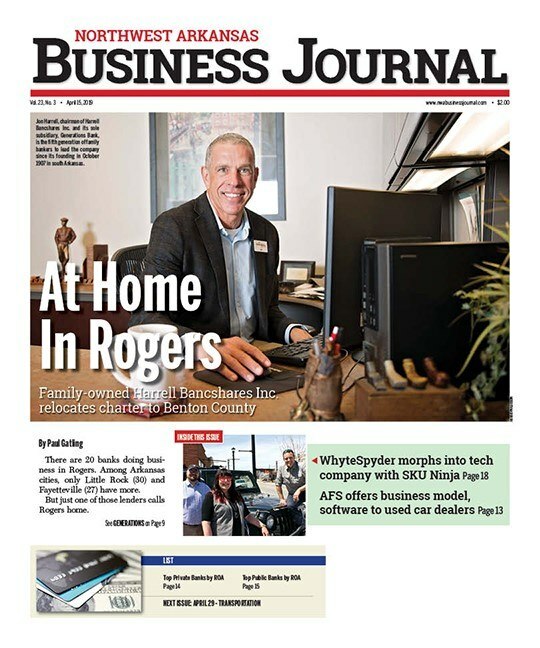 Raymond James ranked fourth in the Business Journal’s most recent ranking of Largest Broker Dealers, with 27 registered representatives in the three Northwest Arkansas offices combined.